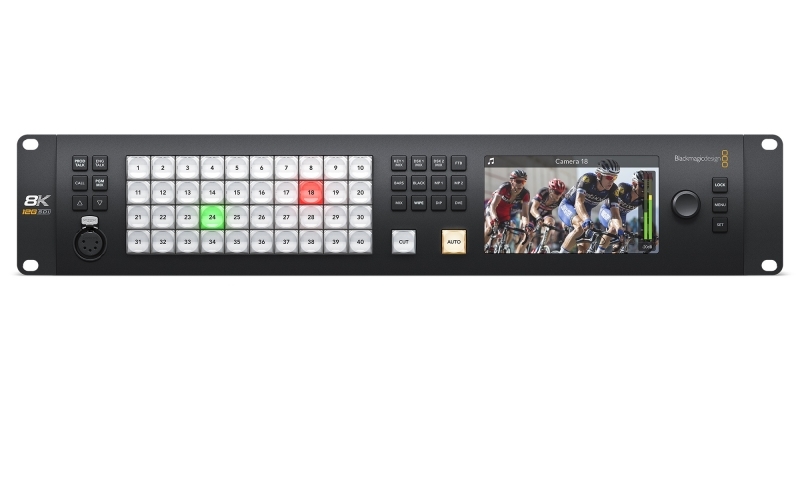 Blackmagic Design today announced ATEM Constellation 8K a major new high end live production switcher with 8K capability that lets customers create content for the next generation of the television industry. ATEM Constellation 8K is available immediately from Blackmagic Design resellers worldwide. 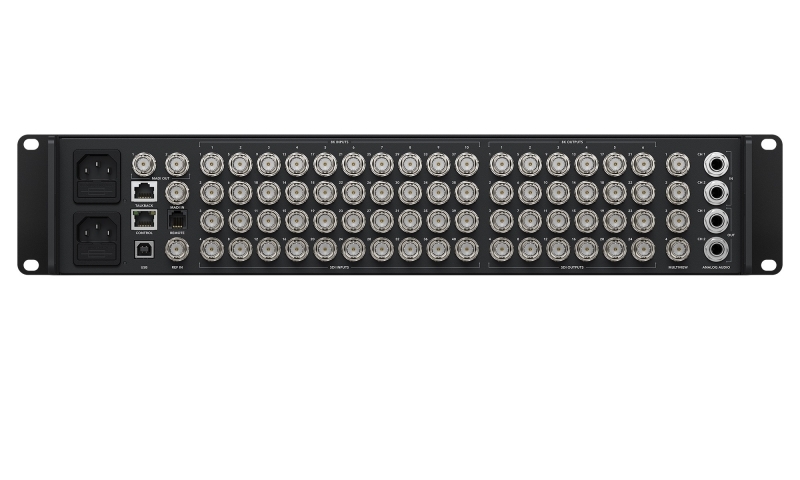 ATEM Constellation 8K features 24 independently routable 12G-SDI outputs that can be fully customized. All of these outputs are similar to aux outputs, however they're more powerful because customers can route any external SDI input and all internal sources to any of these 12G-SDI outputs. All 12G-SDI outputs contain embedded program audio, plus customers get mix minus support, RP-188 embedded timecode, SDI camera control, tally and talkback. "This switcher is so incredibly big that we think customers will love it, even if they don't need to do 8K production," said Grant Petty, Blackmagic Design CEO. "The ATEM Constellation 8K will help our customers handle more complex jobs and put more cameras into scenes than ever before possible. It’s very exciting!" * HD and Ultra HD switcher can be switched to 8K. * Advanced design with built in front panel controls. * Large 40 standards converted 12G-SDI inputs. * 24 customizable 12G-SDI outputs. * Supports all ATEM hardware and software control panels. * Includes 4 Ultra HD multiview with multiple layout options. * Includes DVE and stinger transitions. * Includes 4 Ultra HD DVEs that combine into an 8K DVE. * Professional talkback compatible with ClearCom and RTS. * Internal media for stills and motion graphics. * Includes new ATEM Advanced Chroma Key in 8K. * Multi rate 12G-SDI for HD, Ultra HD and native 8K. * Built in 156 channel Fairlight audio mixer. * Includes free software control panel. * Compatible with all ATEM hardware control panels. 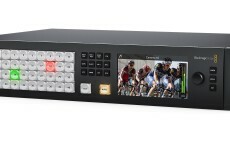 * Supports Blackmagic Design studio camera with SDI control. * All features are included with no extra customer costs.